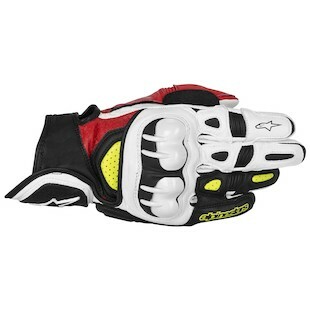 A handful of re-developed gloves for Fall 2013 are the results of Alpinestars execs letting their designers out of the cage. 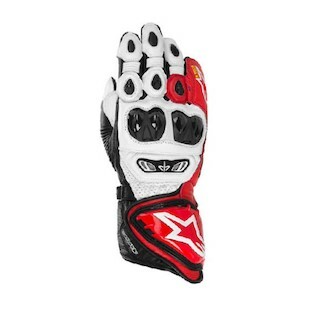 The changes revolve around the GP Tech, GPX, and Scheme Kevlar gloves. Astars’ flagship race option, the Alpinestars GP Tech Gloves are still as protective and comfy as ever but with updated design and refreshed colorways. Always ready and superbly capable for the track, canyon carving, or whatever your favorite flavor happens to be. The Alpinestars GPX Gloves get a design update as well and looks a little more like its big brother, the S-1, adding a bit of wrist/ulnar coverage past the cuff - a feature lacked by most short-cuff gloves and warmly welcomed by the safety-conscious rider. 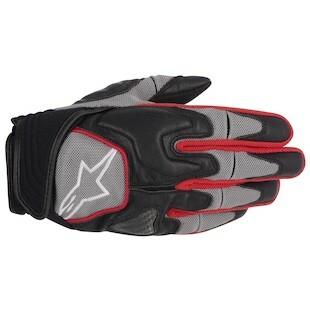 For light-weight summer gloves, the Alpinestars Scheme Kevlar Gloves have been a fan favorite for a number of years. Now, in their third generation, they are available in 3 colorways: Black, Black/Red, and Black/Green and still retain the 3D mesh upper and Kevlar inner reinforcements.